Cleaning is very easy and fits nearly anywhere for storage. Makes hamburger patties just right. Easy to use and store. Brilliant use of freezer space. I freeze everything as flat as possible so I can store the food in rows. 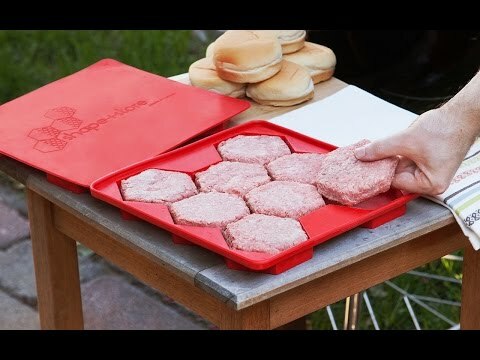 This makes it easy for hamburgers, cookies (a bit big but who's complaining? ), other single serving food. I purchased 5 of these things to use in my restaurant. We have been weighing out 1/4 pound burgers and balling them up for nearly five years. Let me tell you, it's a time-consuming, messy process that usually results in less than uniform burgers. I have made 20 pounds worth of patties in the last week and these are incredible! It takes a fraction of the time to make perfectly portioned patties with less mess than I ever could have hoped for. Burgers freeze fast, thaw quickly and cook perfectly every time. I love how neat and orderly the container fits in the fridge or freezer. I wish I had these things ages ago! 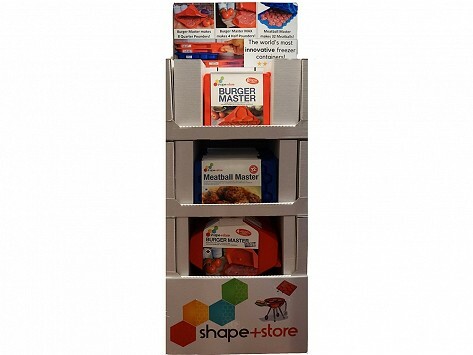 I highly recommend the shape + store burger master! Works exactly as it says! Smushed the 2 pounds of hamburger in and out popped beautiful burgers. This is such fun. I have used it and now I have some burgers in a bag in the freezer for quick access when I need them. It is a really fun helper.